"God Has Embraced Pagans, Sinners and Foreigners, and Demands That We Do the Same" – In the "Revolutionary Tenderness" of Christmas, "A New Imagination of Love"
Mary “gave birth to her firstborn son and wrapped him in bands of cloth, and laid him in a manger, because there was no place for them in the inn” (Lk 2:7). In these plain and clear words, Luke brings us to the heart of that holy night: Mary gave birth; she gave us Jesus, the Light of the world. A simple story that plunges us into the event that changes our history forever. Everything, that night, became a source of hope. Let us go back a few verses. By decree of the Emperor, Mary and Joseph found themselves forced to set out. They had to leave their people, their home and their land, and to undertake a journey in order to be registered in the census. This was no comfortable or easy journey for a young couple about to have a child: they had to leave their land. At heart, they were full of hope and expectation because of the child about to be born; yet their steps were weighed down by the uncertainties and dangers that attend those who have to leave their home behind. Then they found themselves having to face perhaps the most difficult thing of all. They arrived in Bethlehem and experienced that it was a land that was not expecting them. A land where there was no place for them. And there, where everything was a challenge, Mary gave us Emmanuel. The Son of God had to be born in a stable because his own had no room for him. “He came to what was his own and his own people did not accept him” (Jn 1:11). And there, amid the gloom of a city that had no room or place for the stranger from afar, amid the darkness of a bustling city which in this case seemed to want to build itself up by turning its back on others... it was precisely there that the revolutionary spark of God’s love was kindled. In Bethlehem, a small chink opens up for those who have lost their land, their country, their dreams; even for those overcome by the asphyxia produced by a life of isolation. Mary and Joseph, for whom there was no room, are the first to embrace the One who comes to give all of us our document of citizenship. The One who in his poverty and humility proclaims and shows that true power and authentic freedom are shown in honouring and assisting the weak and the frail. The faith we proclaim tonight makes us see God present in all those situations where we think he is absent. He is present in the unwelcomed visitor, often unrecognizable, who walks through our cities and our neighborhoods, who travels on our buses and knocks on our doors. This same faith impels us to make space for a new social imagination, and not to be afraid of experiencing new forms of relationship, in which none have to feel that there is no room for them on this earth. Christmas is a time for turning the power of fear into the power of charity, into power for a new imagination of charity. The charity that does not grow accustomed to injustice, as if it were something natural, but that has the courage, amid tensions and conflicts, to make itself a “house of bread”, a land of hospitality. That is what Saint John Paul II told us: “Do not be afraid! Open wide the doors for Christ” (Homily for the Inauguration of the Pontificate, 22 October 1978). Moved by the joy of the gift, little Child of Bethlehem, we ask that your crying may shake us from our indifference and open our eyes to those who are suffering. May your tenderness awaken our sensitivity and recognize our call to see you in all those who arrive in our cities, in our histories, in our lives. May your revolutionary tenderness persuade us to feel our call to be agents of the hope and tenderness of our people. To one and all, your loved ones and those you serve, Buon Natale, muy Feliz Navidad – Merry Christmas! May all the joy, light, goodness and love born on the Holy Night be yours through these days and always. Here's to safe travels and beautiful moments all around... and especially to those among us whose Christmas is rougher this time by loneliness, loss or struggle, may you know and feel "God-with-us" especially with you, because He is. As ever, the usual Eve bits will roll out, then the shop goes quiet for the week. For another year of the gift of this place and this crowd, no words can say enough thanks. And lastly, a word of appreciation and good luck to all our many troopers in the trenches – musicians, decorators, ministers and all the rest – about to pull off the toughest liturgical cycle there is: the weekend Masses straight into the Eve and the Day. Even for the chaos of it all, may the experience be as graced as your effort is unsung. Christus Natus est, venite adoremus – again, all the blessings, peace and wonder of a holy and Happy Christmas. 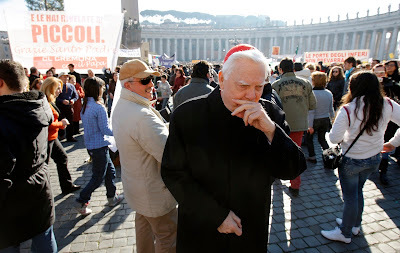 And in the end, the official silence throughout last night's emergence of the death of Cardinal Bernard Law was broken not in Boston, but Rome – first in a one-sentence announcement by the Holy See Press Office, then an equally brief tweet from the Vatican newspaper L'Osservatore Romano, both of which appeared around 6am Italian time (Midnight ET). I have learned of the death of Cardinal Bernard Francis Law, Archpriest emeritus of the Papal Basilica of Saint Mary Major, and I wish to express my condolences to the College of Cardinals. I raise prayers for the repose of his soul, that the Lord, God who is rich in mercy, may welcome him in His eternal peace, and I send my apostolic blessing to those who share in mourning the passing of the cardinal, whom I entrust to the maternal intercession of the Virgin Mary Salus Populi Romani. In addition to the telegram, the Press Office announced that Law's funeral Mass will take place at 3.30pm tomorrow. 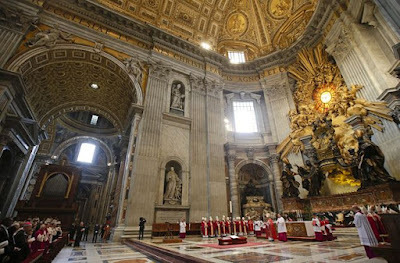 Keeping to the routine protocol for a cardinal resident in Rome, as reported here in advance of the cardinal's death, the liturgy will indeed be at the Altar of the Chair in St Peter's (seen at top), with access to the basilica likely to be heavily restricted. Per usual, Sodano will celebrate the Mass, while Francis will arrive at its close to perform the Final Commendation and Rite of Farewell (a prior instance above). To be clear, the standard procedure does not foresee any words from the pontiff outside the ritual text, the same one used in every liturgy of Christian burial. As previously relayed, Law will be entombed in the crypts beneath St Mary Major in light of his prior role as archpriest of the basilica, Christendom's oldest church dedicated to the Mother of God. 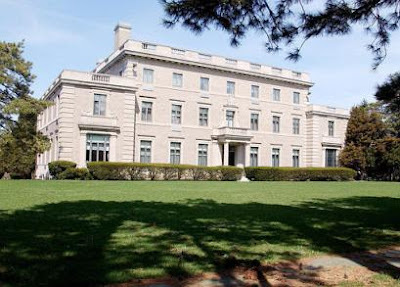 At 6.15am Eastern, meanwhile, the foreseen major statement from O'Malley to the Boston church was released by the archdiocese's Chancery, which was moved to suburban Braintree (above) following the sale of the century-old compound on Commonwealth Avenue to Boston College in 2007 – a deal which funded the church's settlements and legal fees in the wake of the abuse storm. 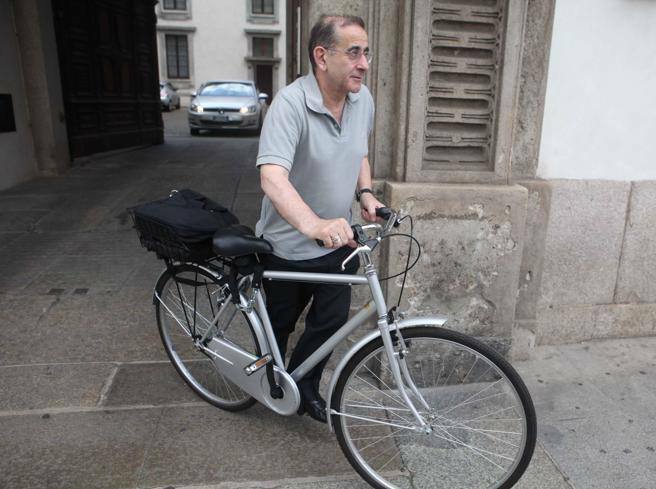 Beyond having been saddled with the fallout of the scandals for the duration of his 14-year tenure in the Hub, to fully grasp the context, the cardinal's newer, secondary assignment likewise bears recalling – his late 2013 appointment by Francis as president of a Curial Commission for the Protection for Minors, which reports directly to the pontiff. Cardinal Bernard F. Law, my predecessor as Archbishop of Boston, has passed away at the age of 86 following a prolonged illness. I recognize that Cardinal Law’s passing brings forth a wide range of emotions on the part of many people. I am particularly cognizant of all who experienced the trauma of sexual abuse by clergy, whose lives were so seriously impacted by those crimes, and their families and loved ones. To those men and women, I offer my sincere apologies for the harm they suffered, my continued prayers and my promise that the Archdiocese will support them in their effort to achieve healing. As Archbishop of Boston, Cardinal Law served at a time when the Church failed seriously in its responsibilities to provide pastoral care for her people, and with tragic outcomes failed to care for the children of our parish communities. I deeply regret that reality and its consequences. Since the day I arrived in the Archdiocese of Boston, my primary objective has been to work for healing and reconciliation among survivors, their families and the wider community of Catholics for whom the abuse crisis was a devastating experience and a great test of faith. In the midst of these groups that were most affected have stood priests and religious sisters of the Archdiocese who have tried to minister to any and all seeking assistance, even when they have been deeply challenged by the crisis that unfolded in the Church. It is a sad reality that for many Cardinal Law’s life and ministry is identified with one overwhelming reality, the crisis of sexual abuse by priests. This fact carries a note of sadness because his pastoral legacy has many other dimensions. Early in his priesthood in Mississippi Cardinal Law was deeply engaged in the civil rights struggle in our country. Later, he served in the Archdiocese and nationally as a leader in the ecumenical and interfaith movement following the Second Vatican Council, developing strong collaborative relationships with the Greek Orthodox and Jewish communities in Boston. He was well known for visiting the sick, the dying and the bereaved at all hours of the night and day, a ministry that extended to the rich and poor, the young and elderly, and people of all faiths. He also held the care for immigrants and their families in a special place in his ministry. In the Catholic tradition, the Mass of Christian Burial is the moment in which we all recognize our mortality, when we acknowledge that we all strive for holiness in a journey which can be marked by failures large and small. Cardinal Law will be buried in Rome where he completed his last assignment. I offer prayers for him and his loved ones as well as for all the people of the Archdiocese. 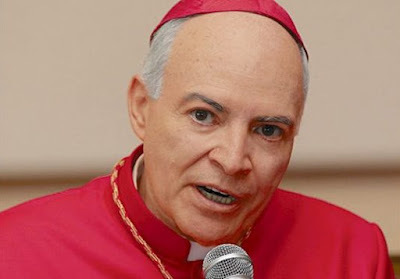 SVILUPPO (10pm ET, Tuesday 19 December): Per reports from three senior Whispers ops, Bernard Cardinal Law died shortly after Midnight Wednesday, 20 December, in Rome. While the Archdiocese of Boston has yet to release a formal announcement of the passing, according to custom, Roman Noon (6am Eastern) will see the release of the usual condolence telegram from Pope Francis upon the death of a cardinal. For the many late to the story, it's all explained below – here's Sunday night's first report on what's now come to pass, and what happens from here. 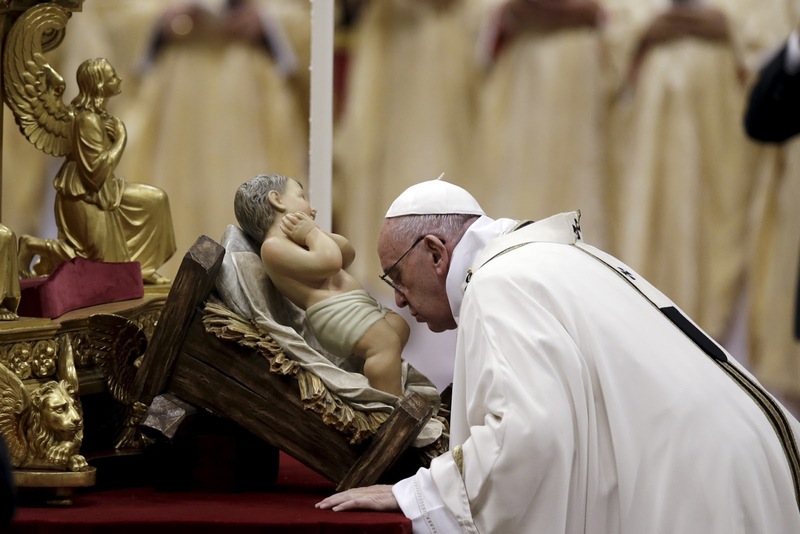 Even with the Pope’s 81st birthday – and the usual attempts at controversies – dominating center stage in this run-up to Christmas, per usual, the story you're not hearing about is the most significant of them all. 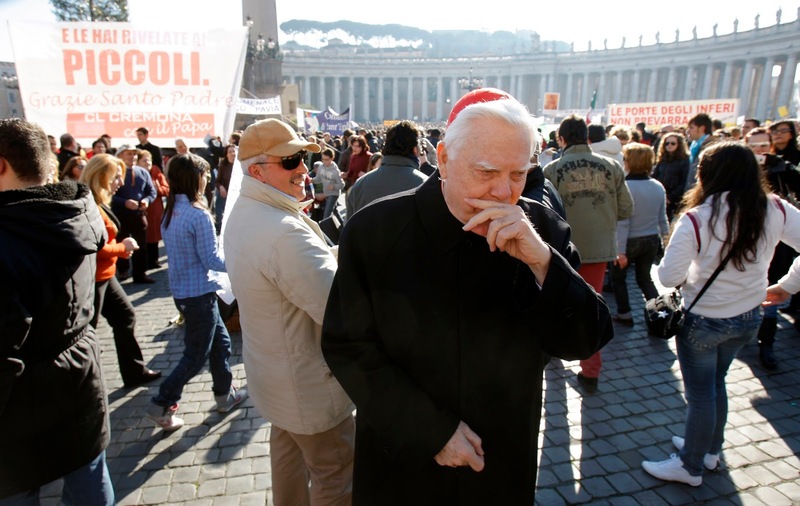 Fifteen years to the week since his resignation as archbishop of Boston amid the fallout of a scandal that would spread across the global church, Cardinal Bernard Law is facing his final illness in a Roman hospital, according to several Whispers ops informed of the situation. Said to be undergoing “a slow, steady decline,” several of his devoted aides at his bedside, church officials on both sides of the Atlantic are in active preparation for the death of the 86 year-old prelate – a day long dreaded given the ongoing fury the cardinal evokes as the perceived emblematic figure of a cover-up for abusive priests, a tragedy whose local reporting in 2002 sparked the greatest crisis American Catholicism has ever known. Even if the focus will be in Rome, among other unresolved questions is the role Law’s successor, Cardinal Seán O’Malley OFM Cap., will take upon the announcement. Having returned from the Vatican on Saturday from this week’s meetings of Francis’ “Gang of 9” on the reform of the Curia, the presence of the Pope’s principal North American adviser at the Roman rites would ostensibly be contingent on his schedule, which is less flexible than usual given the Christmas cycle of commitments at home: a marathon that runs through to one of his most cherished events of the year – his annual Mass in Kreyol for Haiti's Independence Day on January 1st. Long dogged by health issues – and, indeed, a forced loneliness born of the circumstances – Law returned to the US on but a handful of occasions since his resignation at 71 was accepted in person (above) on 13 December 2002, mostly for off-the-radar visits with old friends far from New England. In his last open appearance on American soil, the cardinal concelebrated the August 2015 funeral of his close confidant, the longtime Curial Cardinal William Wakefield Baum, in Washington’s St Matthew’s Cathedral, his presence attracting scant notice in the sparse crowd, but garnering warm greetings from the prelates in attendance, several of whom Law championed during his two decades as a voting member of the Congregation for Bishops. Asked for a formal comment on the matter, the Boston Chancery spokesman Terry Donilon has not replied. In his absence, it can be reported that several Boston ops have relayed word of a significant push over recent days to finalize a "balanced" statement to mark Law's passing, aiming to recognize both the cardinal's global contributions across several decades – most notably his diplomatic success in securing John Paul's historic 1998 visit to Cuba and the genesis of what would become the Catechism of the Catholic Church – and the enduring toll of his failures of governance at home, above all in the lives of victim-survivors and their families. Sensitive as the moment might feel with Christmas at hand, it merely echoes the beginning of the dramatic arc now approaching its close. On Epiphany Sunday 2002, the Boston Globe's Spotlight desk unleashed its first report on the serial predator John Geoghan, whose abuse of 130 boys across several parish assignments over the tenures of three archbishops resulted in convictions shortly after the pieces made print. After a year of the paper's coverage and its repercussions across the wider church resulted in Law's resignation (which he had offered to John Paul early in 2002, only for it to be declined for months), the Globe went on to win the Pulitzer Prize for Public Service – the most prestigious category of journalism's top accolade – and, in time, a Hollywood depiction of the investigative team's story was given the Academy Award for Best Picture, notably to the applause of a new generation of the nation's Catholic leadership. I am profoundly grateful to the Holy Father for having accepted my resignation as Archbishop of Boston. It is my fervent prayer that this action may help the Archdiocese of Boston to experience the healing, reconciliation and unity which are so desperately needed. To all those who have suffered from my shortcomings and mistakes I both apologize and from them beg forgiveness. To the bishops, priests, deacons, religious and laity, with whom I have been privileged to work in our efforts to fulfil the Church's mission, I express my deep gratitude. My gratitude extends as well to so many others with whom I have been associated in serving the common good; these include those from the ecumenical, Jewish, and wider interreligious communities as well as public officials and others in the civil society. The particular circumstances of this time suggest a quiet departure. Please keep me in your prayers. María, la mujer del sí, también quiso visitar a los habitantes de estas tierras de América en la persona del indio san Juan Diego. Así como se movió por los caminos de Judea y Galilea, de la misma manera caminó al Tepeyac, con sus ropas, usando su lengua, para servir a esta gran Nación. Y, así como acompañó la gestación de Isabel, ha acompañado y acompaña la gestación de esta bendita tierra mexicana. Así como se hizo presente al pequeño Juanito, de esa misma manera se sigue haciendo presente a todos nosotros; especialmente a aquellos que como él sienten «que no valían nada». Esta elección particular, digamos preferencial, no fue en contra de nadie sino a favor de todos. El pequeño indio Juan, que se llamaba a sí mismo como «mecapal, cacaxtle, cola, ala, sometido a cargo ajeno», se volvía «el embajador, muy digno de confianza». En ese amanecer, Juancito experimenta en su propia vida lo que es la esperanza, lo que es la misericordia de Dios. Él es elegido para supervisar, cuidar, custodiar e impulsar la construcción de este Santuario. En repetidas ocasiones le dijo a la Virgen que él no era la persona adecuada, al contrario, si quería llevar adelante esa obra tenía que elegir a otros, ya que él no era ilustrado, letrado o perteneciente al grupo de los que podrían hacerlo. María, empecinada —con el empecinamiento que nace del corazón misericordioso del Padre— le dice: no, que él sería su embajador. 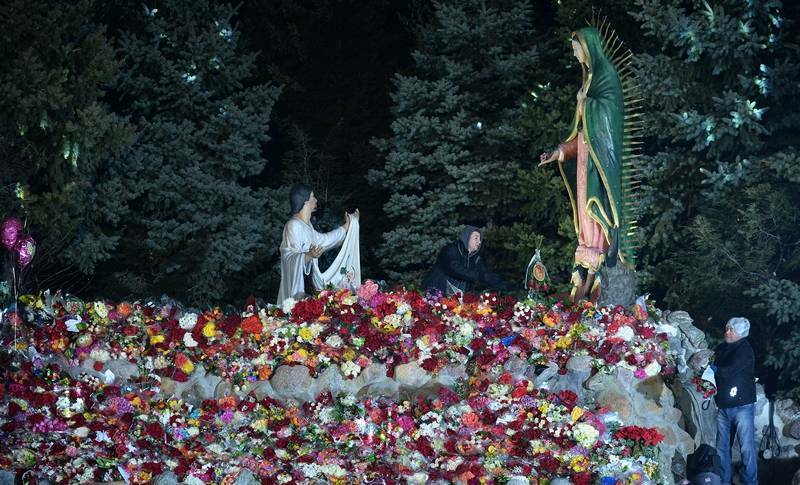 Al venir a este Santuario nos puede pasar lo mismo que le pasó a Juan Diego. Mirar a la Madre desde nuestros dolores, miedos, desesperaciones, tristezas, y decirle: «Madre, ¿qué puedo aportar yo si no soy un letrado?». Miramos a la madre con ojos que dicen: son tantas las situaciones que nos quitan la fuerza, que hacen sentir que no hay espacio para la esperanza, para el cambio, para la transformación. y en tu nido de tierra trasparente. Y en silencio, y en este estar mirándola, escuchar una vez más que nos vuelve a decir: «¿Qué hay hijo mío el más pequeño?, ¿qué entristece tu corazón?» «¿Acaso no estoy yo aquí, yo que tengo el honor de ser tu madre?». ¿Acaso no soy yo tu madre? ¿No estoy aquí? No te dejes vencer por tus dolores, tristezas, nos dice. Hoy nuevamente nos vuelve a enviar, como a Juanito; hoy nuevamente nos vuelve a decir, sé mi embajador, sé mi enviado a construir tantos y nuevos santuarios, acompañar tantas vidas, consolar tantas lágrimas. Tan sólo camina por los caminos de tu vecindario, de tu comunidad, de tu parroquia como mi embajador, mi embajadora; levanta santuarios compartiendo la alegría de saber que no estamos solos, que ella va con nosotros. Sé mi embajador, nos dice, dando de comer al hambriento, de beber al sediento, da lugar al necesitado, viste al desnudo y visita al enfermo. Socorre al que está preso, no lo dejes solo, perdona al que te lastimó, consuela al que está triste, ten paciencia con los demás y, especialmente, pide y ruega a nuestro Dios. Y, en silencio, le decimos lo que nos venga al corazón. ¿Acaso no soy yo tu madre? ¿Acaso no estoy yo aquí?, nos vuelve a decir María. Anda a construir mi santuario, ayúdame a levantar la vida de mis hijos, que son tus hermanos. 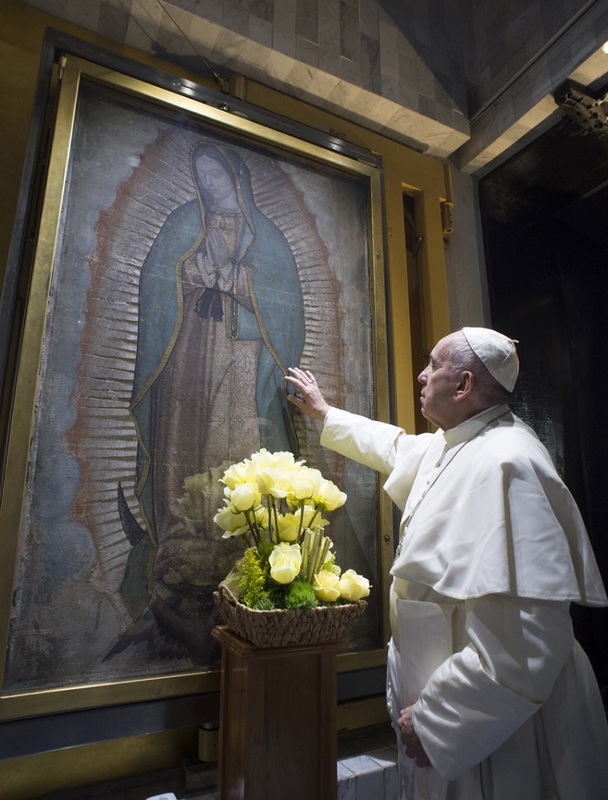 Mary, the woman of “yes”, wished also to come to the inhabitants of these American lands through the person of the Indian St Juan Diego. Just as she went along the paths of Judea and Galilee, in the same way she walked through Tepeyac, wearing the indigenous garb and using their language so as to serve this great nation. Just as she accompanied Elizabeth in her pregnancy, so too she has and continues to accompany the development of this blessed Mexican land. Just as she made herself present to little Juan, so too she continues to reveal herself to all of us, especially to those who feel, like him, “worthless”. This specific choice, we might call it preferential, was not against anyone but rather in favour of everyone. The little Indian Juan who called himself a “leather strap, a back frame, a tail, a wing, oppressed by another’s burden,” became “the ambassador, most worthy of trust”. On that morning in December 1531, the first miracle occurred which would then be the living memory of all this Shrine protects. On that morning, at that meeting, God awakened the hope of his son Juan, and the hope of a People. On that morning, God roused the hope of the little ones, of the suffering, of those displaced or rejected, of all who feel they have no worthy place in these lands. On that morning, God came close and still comes close to the suffering but resilient hearts of so many mothers, fathers, grandparents who have seen their children leaving, becoming lost or even being taken by criminals. On that morning, Juancito experienced in his own life what hope is, what the mercy of God is. He was chosen to oversee, care for, protect and promote the building of this Shrine. On many occasions he said to Our Lady that he was not the right person; on the contrary, if she wished the work to progress, she should choose others, since he was not learned or literate and did not belong to the group who could make it a reality. Mary, who was persistent — with that persistence born from the Father’s merciful heart — said to him: he would be her ambassador. In this way, she managed to awaken something he did not know how to express, a veritable banner of love and justice: no one could be left out of the building of that other shrine, the shrine of life, the shrine of our communities, our societies and our cultures. Visiting this Shrine, the same things that happened to Juan Diego can also happen to us. Look at the Blessed Mother from within our own sufferings, our own fear, hopelessness, sadness, and say to her, “What can I offer since I am not learned?”. We look to our Mother with eyes that express our thoughts: there are so many situations which leave us powerless, which make us feel that there is no room for hope, for change, for transformation. Simply looking at you, O Mother, / having eyes only for you, / looking upon you without saying anything, / telling you everything, wordlessly and reverently. / Do not perturb the air before you; / only cradle my stolen solitude / in your loving Motherly eyes, / in the nest of your clear ground. / Hours tumble by, / and with much commotion, / the wastage of life and death / sinks its teeth into foolish men. Having eyes for you, O Mother, simply contemplating you / with a heart / quieted in your tenderness / that silence of yours, / chaste as the lilies. Mary tells us that she has “the honour” of being our mother, assuring us that those who suffer do not weep in vain. These ones are a silent prayer rising to heaven, always finding a place in Mary’s mantle. In her and with her, God has made himself our brother and companion along the journey; he carries our crosses with us so as not to leave us overwhelmed by our sufferings. Am I not your mother? Am I not here? Do not let trials and pains overwhelm you, she tells us. Today, she sends us out anew; as she did Juancito, today, she comes to tell us again: be my ambassador, the one I send to build many new shrines, accompany many lives, wipe away many tears. Simply be my ambassador by walking along the paths of your neighbourhood, of your community, of your parish; we can build shrines by sharing the joy of knowing that we are not alone, that Mary accompanies us. Be my ambassador, she says to us, giving food to the hungry, drink to those who thirst, a refuge to those in need, clothe the naked and visit the sick. Come to the aid of those in prison, do not leave them alone, forgive whomever has offended you, console the grieving, be patient with others, and above all beseech and pray to God. And in the silence tell him what is in our heart. Am I not your mother? Am I not here with you? Mary says this to us again. Go and build my shrine, help me to lift up the lives of my sons and daughters, who are your brothers and sisters. On the Sunday before the Pope arrived on US soil, the headline was unforgettable. "Bishop: Church's answers lie with the laity." On one ecclesial bank of the Delaware River, the 2008 comment didn't merely arrive as "news," but was viewed as tantamount to a declaration of war. Just across the three bridges, though, for Bishop Joe Galante (above) the line was simple reality – at least, if his church's best days weren't going to be behind it. Now retired from the helm of South Jersey's 600,000-member fold based in Camden, today marks Galante's 25th anniversary as a bishop. And as these pages are just one of the thousands upon thousands of spots touched by his ever-faithful, generous goodness in ministry through the years, this scribe would be remiss to fail in paying a word of tribute. Alas, they don't make cards for days like this – of some 350-odd US bishops, only about a third reach this milestone. And even if there were a stock greeting for the moment, it just wouldn't be able to capture the measure of this jubilarian, whose rare fortune at seeing history smile on him in life is matched only by how richly he's earned it. In attempting to explain Galante to people who've never known him, I've always tended to cite three things. First, even for knowing a good few of the bench, I've seldom known another among them who, without fail, has spent his every vacation in his own diocese. To be sure, being assigned to the lower half of the Jersey Shore might sound like the dream job of every Philly-born priest – at least in theory – but not knowing what you'll get strung up about by the faithful while pushing your cart around the Wildwood Acme in shorts can, in practice, make it a bit easier to take one's downtime somewhere else. Bishop Joe wouldn't have wanted it any other way than staying home, in the house he kept there from his priesthood. 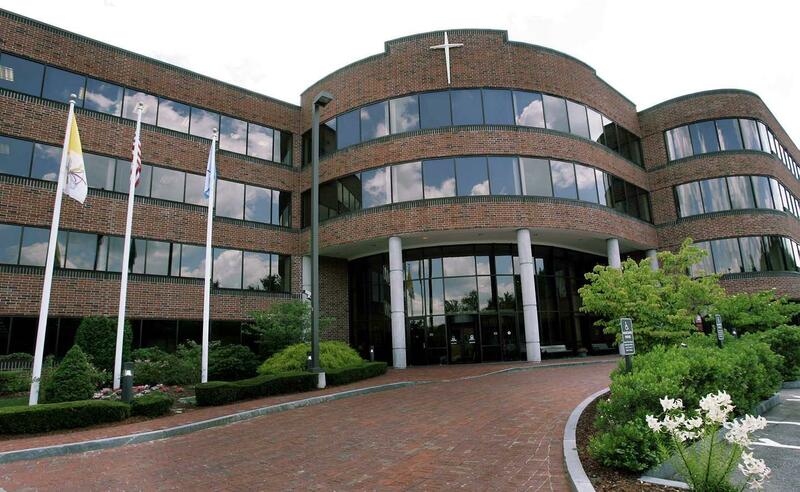 Second, on any given day – Mondays above all given the weekend Masses – most every Chancery in the land gets a phone call, often several, from a fired-up parishioner driven to give the Boss a piece of their mind. The topic can be anything under the sun, and the staff are usually well-trained to assuage the concerns on their own while keeping the call far from the corner office. In Galante's case, whenever the outrage arrived, the approach was unique: once the line was transferred to his devoted secretary, Dolores Orihel would answer with some variation of, "You'd like to talk to Bishop Galante? Here he is." As he only ever used the formal office for major meetings – splitting Dolores' cubicle with her the rest of the time – she'd just hand the phone over. And one by one, however long the person needed to come away at ease would be theirs. Again, it sounds like a no-brainer in theory, but given the most difficult act of his tenure – a sweeping realignment that merged South Jersey's 132 parishes by roughly half (and all of it announced at once) – no shortage of soothing was needed. 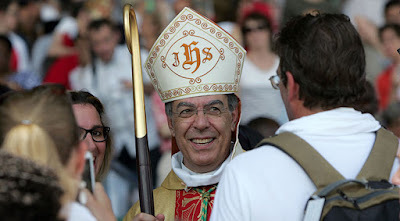 And thirdly, much as he worked for and was dear to John Paul II – who named him first as Undersecretary of the Congregation for Religious, then to four diverse, oft-challenging assignments as a bishop – only in recent years has it become clear how much of Bishop Joe's pastoral ethic echoes that of another auxiliary appointed and ordained in 1992: another son of Italian immigrants to America... now known to the world as The Man in White. To be sure, it's always been fashionable in church circles to compare a prelate's qualities to those of the reigning Pope. Yet in this case, it has the added benefit of not just being accurate, but true at a cost – while these days see Francis garnering widespread plaudits for decrying clericalism as a rot on the church's soul, and Jersey's first-ever cardinal is lionized as the champion of the nation's religious women in the belly of the Vatican beast, Joe Galante was fighting these battles in the very same places well before anyone knew of Bergoglio, with far less support... so much so that, now it can be told, a concerted push was once made to have him forced from office. Gratefully, it didn't happen. And beyond seeing two of his own ministry's core emphases – qualities more recently defined as "pastoral conversion" and "missionary discipleship" – now promulgated by his twin as the gold standard of what it means to be a shepherd, that this anniversary likewise brings the beginning of Francis' 23rd meeting with his "Gang of 9" for the reform of the Curia adds a good bit to the providence and joy of the milestone. A lesser man would see the turn of events as a vindication. But that word isn't in Bishop's vocabulary – what satisfaction he finds in it comes from seeing the church act more like its Lord, and striving afresh to do better in earning the fidelity and credibility of its people. Even more than usual, the phone will be ringing off the hook today at the ranch house down the Shore where, as things normally go, five minutes rarely pass between incoming calls. Yet now, there are no complaints, just the legion of friends from all walks of life always wanting to check in, as the Eagles or Phillies game plays out on the muted TV and the cooking of his live-in caretaker, Steve, scores another compliment. As ever, it might sound easy, but there's more than meets the eye. As it's been for the last six years, Mondays are a little rough – the first of the three days a week he spends six hours at a time hooked up to a dialysis machine. Not even a Silver Jubilee can exempt him from that. And now, the road's about to get more trying still: following a diagnosis of prostate cancer over the summer, next month sees the start of radiation that'll need to be worked around the kidney treatments. Just as this piece is coming as a surprise to him, I know he'd seek your prayers... and as he's owed the appreciation of a grateful Church, that's the least any of us can do. You know, the more these years wear on, the harder it is to put many things into words – the more you've been around, the less you stop sensing how much more there is to every story. 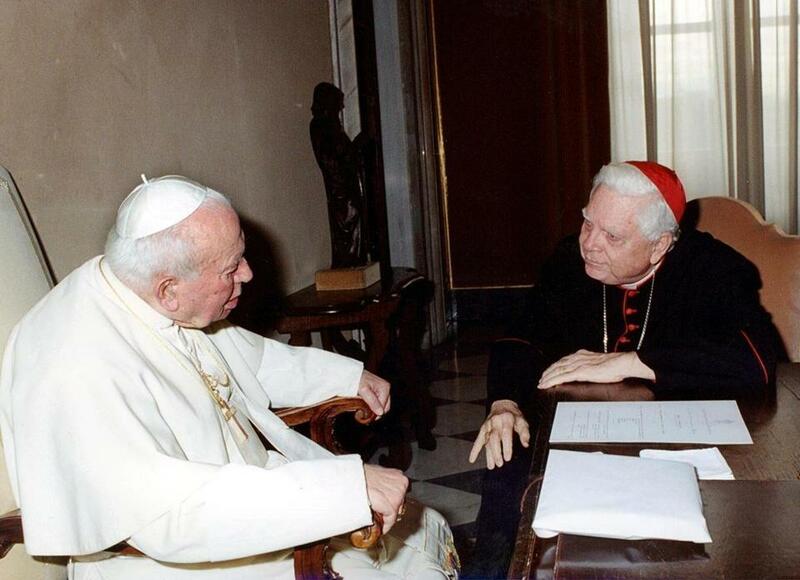 Along those lines, it's par for the course that we haven't even touched the memory of the day when Galante became the first and only Catholic prelate ever to take a seat on Oprah Winfrey's couch. Nonetheless, from Nuns to "nones," the Latinos and Irish he's adopted as family to our own Italian crew – and perhaps most impressively, from Cowboys fans to Eagles Nation – much as he keeps thanking everybody else for the graces of this quarter-century, if anything, the blessing of it has been ours in the gift of him... and just like the example of his "alter ego" now in the Domus, it's on us to not just admire the richness we've been given, but to share and imitate it for the rest. Among his horde of priceless quotes, and knowing the strains of being Publisher of a Catholic news-outlet, Bishop Joe's long been on this scribe to "Start raising money from the bishops"... just with one bit of added advice: "You can charge one rate for guys who want to be mentioned, and even more for those who don't want to be." Suffice it to say, he's "paid" for this in the way that matters most – really, the only way that matters: in lavishing me and so many of us with his loyalty, love, support and faithfulness through the years, his "Yes" has given us life, and Lord knows how we can't begin to repay him for that. As tributes go, this one pales in comparison to the 44-page mega-supplement produced over the weekend by Bishop's "baby" – Camden's Catholic Star Herald, whose survival into the present owes itself more to his determination than anything else. 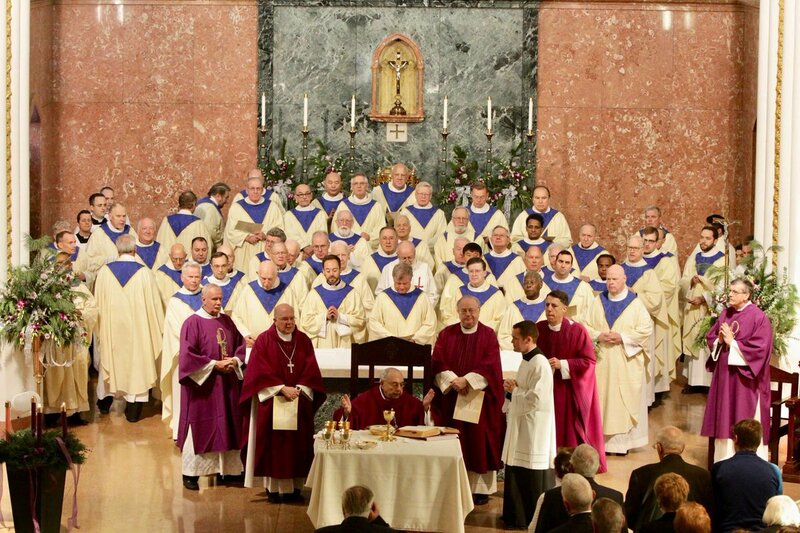 Yesterday, meanwhile, the 25th was marked by some 400 of Galante's extended family who crammed into the Cathedral of the Immaculate Conception for an intimate, moving Mass (above) and dinner. 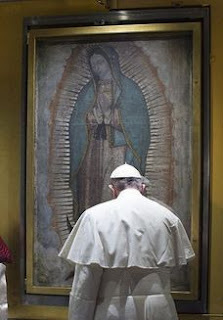 Habemus POPEQUAKE – In Stunning Twin Shot, Francis Flips Mexico. And Paris. As appointment days go, folks, This. Is. Simply. Beyond. ...and, together with it, Francis' choice of Bishop Michel Aupetit of Nanterre, 66 – a physician, bioethicist and med-school professor for two decades, ordained a priest at 44 – as archbishop of Paris: the 1.3 million-member fold that's both the largest and most prominent charge in the land long known as the church's "eldest daughter." In terms of dates and places, the CVs of both picks were released by the Vatican in the English edition of today's Bollettino. The duo respectively succeed Cardinals Norberto Rivera and Andre Vingt-Trois, both of whom reached the retirement age of 75 just within the last six months. 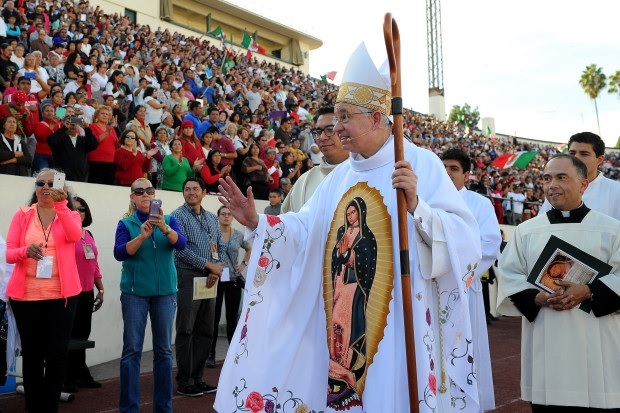 In the latter case, the departing Paris prelate – who'll be succeeded by his second-in-command from 2006-13 – marked his birthday on November 7th, while the retirement of Rivera (who turned 75 last June) ends a landmark, yet frequently controversial 22-year run atop the Mexican church, a reign with which the first American Pope memorably made his frustration clear on his visit to it in early 2016. Together with Francis' June pick of Auxiliary Bishop Mario Delpini (above) as archbishop of Milan – his hometown and Italy's marquee diocese – today's moves round out 2017's foreseen extraordinary round of placements into the church's top dozen or so diocesan seats around the world, with a couple more impending shifts still in the offing. In the case of Aguiar, that sound you hear is the new Cardinal-Primate vaulting to the front of the Papabile file... albeit to a lesser degree than if a Latin American weren't already on Peter's Chair. 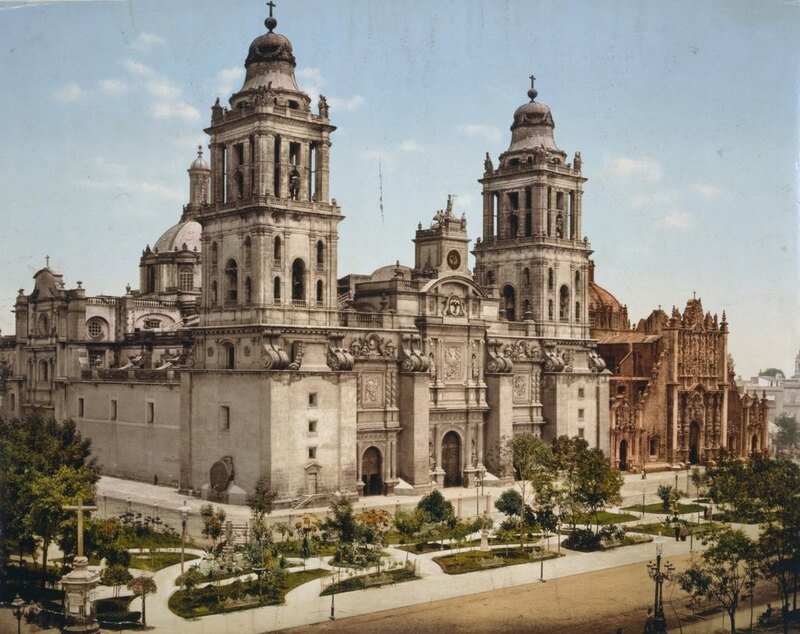 Nonetheless, the Scripture scholar and veteran seminary rector has long been the frontrunner for the capital of Mexico, whose 90 million Catholics nationwide form the church's second-largest bloc after Brazil, even as church-state issues there remain an equally-sized challenge. Hailing the pick as a "renaissance man," a Whispers op close to both Francis and Aguiar called the Pope's choice "extremely smart and very close to the people," noting the incoming Primate's ability to make headway in the public realm to a degree that eluded the polarizing Rivera, whose long tenure became mired in moral and financial scandals within the massive archdiocese – and who, unlike his successor, was never elected by the Mexican bishops as their president despite occupying the hierarchy's biggest post (a twin role which, in Latin America, is normally a given). 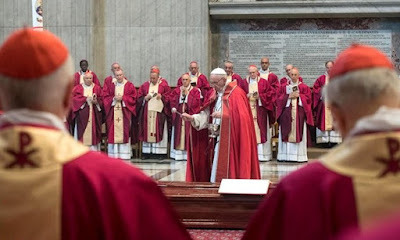 Indeed, arguably more than anything, the choice of Aguiar serves to again underscore Papa Bergoglio's emphasis on the role – and trust in the judgment – of episcopal conferences. 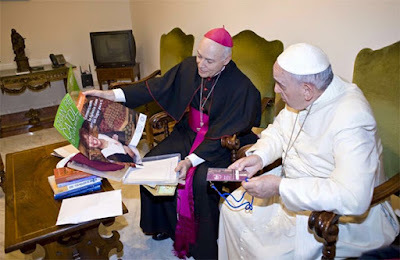 Having known the younger prelate for the better part of two decades – from when Aguiar was overseeing the CELAM offices as its secretary-general – like so much else with the now-Francis, the bond between the duo was ostensibly sealed at Aparecida in 2007. At the once-a-generation meeting of the Latin American bishops, this time in Brazil's patronal shrine, then-Cardinal Bergoglio oversaw the drafting of the missionary "charter" for the region that's home to a plurality of the Catholic world, while after the fact, the rising Mexican would carry the torch for the Aparecida call as the continental body's vice-president, then president. Along the way, in 2009 Benedict XVI gave Aguiar the archbishopric of Tlalnepantla, all of 15 miles north of Mexico City. But once the papacy switched hands, to signal his impatience with the state of things down the road, Francis would replicate his biggest US ground-shift last year, placing an unprecedented red hat at the "periphery" of the capital itself. Long story short, and for the millionth time, the essence of this most significant of moves marks just another return to Evangelii Gaudium – merely an adaptation of Aparecida for the global fold, the "blueprint" of Francis' church in more ways than most have begun to understand... even as the fifth anniversary of this pontificate approaches in March. And on a day when the appointment of the archbishop of Paris is merely the second biggest thing going, the shape of the moment only goes to prove one of Francis' core principles in his charter text: namely, "Reality is bigger than ideas." 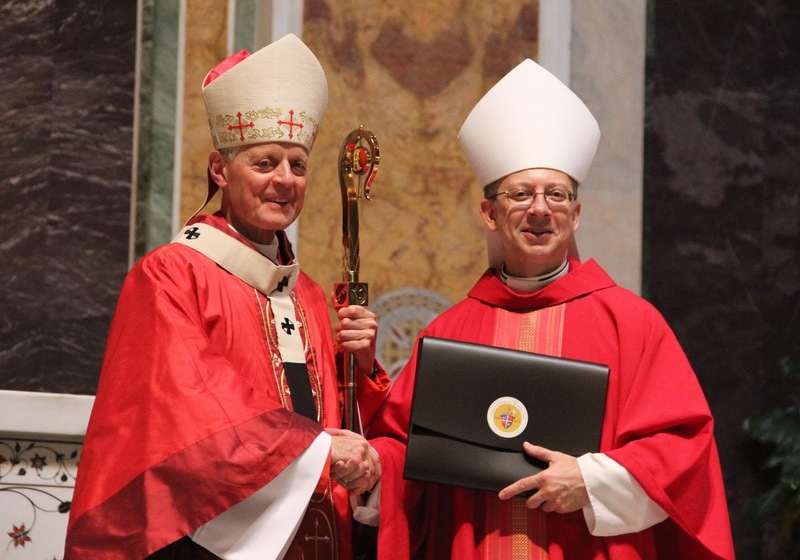 After months of rumblings over his future, Bishop Barry Knestout can finally breathe easy – expected from very early in the year, the Pope's choice of the 55 year-old vicar-general of Washington as the 13th bishop of Richmond indeed came to pass at Roman Noon yesterday. In the post overseeing the massive 33,000 square mile bulk of Virginia stretching from the Atlantic's Eastern Shore to the Kentucky border – all of it home to some 250,000 Catholics – the top deputy to Cardinal Donald Wuerl (duo seen above) succeeds Bishop Francis DiLorenzo, whose death from kidney failure in August remains a shock to his many friends. 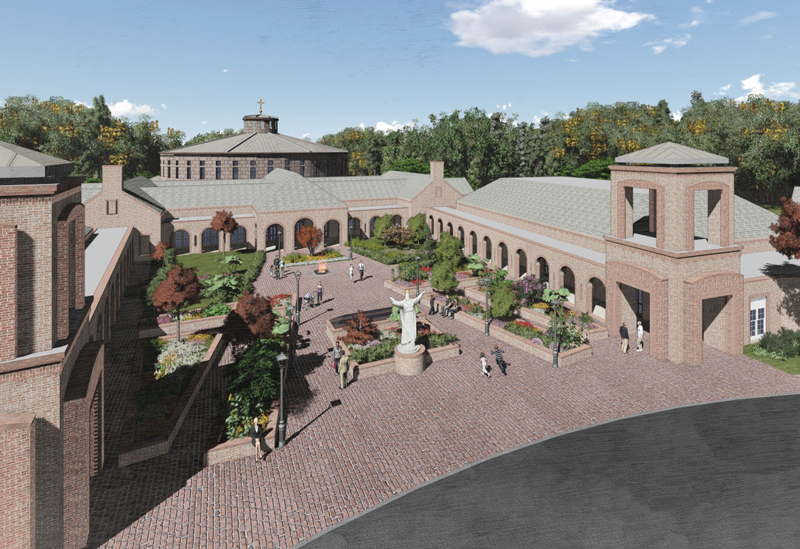 Having reached the retirement age of 75 last April, the process for DiLorenzo's replacement was already well in the works at the time the vacancy occurred. On speaking to him a week before his passing – and not expecting to lose him in the least – this scribe admitted to DiLorenzo of wondering what was taking the appointment "so long," to which he characteristically shot back, "Me too." Even then, it bears noting that Knestout – from his days as secretary to Cardinals James Hickey and Theodore McCarrick, a familiar figure in church circles for nearly two decades – was the only potential pick whose name came up in the conversation. Founded in 1820 to initially encompass Virginia and the future West Virginia, the Richmond church is one of the eight oldest in the US. In that light, amid the raw fallout of August's clashes between white supremacists and counter-protestors in Charlottesville (in the diocese's western tier), which saw one of the latter killed by a car driven into the crowd, not to mention the wake of a bitterly divisive governor's race this fall that made the Old Dominion's trove of Confederate monuments an unusual flashpoint of tribal politics, it's easy to sense that Knestout's calming, hyper-diligent skillset is the optimal antidote to a charged, heavily-partisan moment. At the same time, while some two-thirds of Virginia's booming Catholic population lives in the 19 northern counties that form the diocese of Arlington (which was spun off from Richmond in 1974), the turf he inherits is experiencing its own degree of recent growth, albeit on a more gradual scale. If anything, the one fresh challenge facing Knestout will be enhancing the effectiveness of the diocese's operations given the sprawl of the territory and the population imbalance between the coast and a heavily rural, mostly sparse edge in the Blue Ridge and Appalachian mountains. As DiLorenzo put the spread into context, if the distance of crossing the diocese's lower edge was turned on its side, a drive from the westernmost point would put you in Detroit. Accordingly, while a division of Richmond's eastern portion into its own diocese has been considered in the past, it's been deemed unfeasible as the redrawn mother-see would lack the resources to support itself. Coming in a week already focused on the nation's capital given Friday's dedication of the massive Trinity Dome in the Basilica of the National Shrine of the Immaculate Conception – and with it, what's widely expected to be the beginning of Wuerl's pre-retirement "victory lap" – the promotion of the DC prelate's #2 over his decade-long tenure further fuels the perception of desk-clearing by the cardinal, who turned 77 last month. However, despite prior forecasts tipping a transition sometime in the first half of 2018, over recent weeks Whispers ops close to Wuerl have begun to sense a longer timeframe toward the appointment of Washington's sixth resident archbishop, a move almost certain to be Francis' last major selection for the American hierarchy's top rank. In any case, even before today's nod was officially made, no shortage of attention has already turned toward the critical "other shoe" to drop: Wuerl's choice of Knestout's replacement as vicar-general, essentially the DC church's chief operating officer – a selection in which the departing prelate's brother, Fr Mark, is said to be a leading contender. Beyond the post's significance within the capital itself, it's worth recalling that, over the now-cardinal's three decades as a diocesan bishop, each of his vicars-general have quickly been named as auxiliaries, all then going on to lead a local church in their own right. 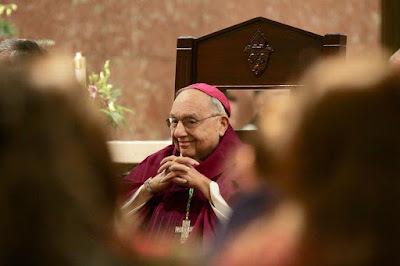 With the Richmond call finally in the can, all of one Stateside Latin diocese is vacant – north Kansas' outpost in Salina, from which Bishop Edward Weisenburger was transferred to Tucson in September. Alongside Washington, just two others are led by prelates serving past the retirement age and awaiting their respective successors: central California's diocese of Stockton, where Bishop Stephen Blaire reached the milestone last February, and the largest opening the US church will have for the foreseeable future – what's become an 850,000-member fold in Las Vegas, guided since 2001 by Bishop Joe Pepe, one of DiLorenzo's closest friends and the preacher at his funeral. 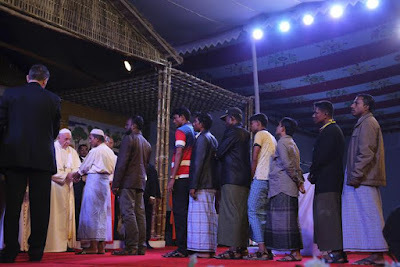 "The Presence of God Is Called 'Rohingya'" – Meeting Refugees, Pope Pleads for "Forgiveness"
Closing out a packed day that began with a rare ordination of priests on the road, the prime diplomatic fault-line of this weeklong PopeTrip to Southeast Asia saw a closing flourish as Francis met with 16 Rohingya refugees – 12 men and four women – who fled Myanmar for Bangladesh, using the charged term for the first time on this visit. Taking place just after a gathering with local interfaith leaders at the Archbishop's Residence in Dhaka, the encounter was not a surprise – as previously noted, the plan was revealed early this week by Cardinal Oswald Gracias of Mumbai (a member of the pontiff's "C-9" council of lead advisers) in a conversation with the Rome-based AsiaNews agency. Nonetheless, after Francis came in for a rare dose of wide criticism over explicitly avoiding the topic during this trek's first leg with the party responsible for the crisis, the images and tone of today's meeting – which highlighted both Papa Bergoglio's compassion and a global call to action (his second in as many days) – is likely to assuage the storm over the long haul. Dear brothers and sisters, we are all close to you. There's not much that we can do because your tragedy is so great. But we make space for you in our hearts. In the name of all, of those who've persecuted you, of those who've done this evil, above all for the indifference of the world, I ask forgiveness. Forgiveness. Many of you have spoken of the great heart of Bangladesh which has welcomed you. Now I appeal to your great hearts, that you might be able to give us the forgiveness we seek. Dear brothers and sisters, the Judeo-Christian account of creation says that the Lord who is God created man in his own image and likeness. All of us are this image, even these brothers and sisters. They, too, are the image of the living God. A tradition of your religions says that God, in the beginning, took a little bit of salt and tossed it into water, that was the soul of all people; and each of us carries within ourselves a little of this divine salt. These brothers and sisters carry within them the salt of God. Dear brothers and sisters, we only have to look at the world to see its selfishness with the image of God. Let us continue to do good by you, to help you; let us continue to act so that they may recognize your rights. Let us not close our hearts, not look somewhere else. The presence of God today is also called "Rohingya." May each of us give our own response.